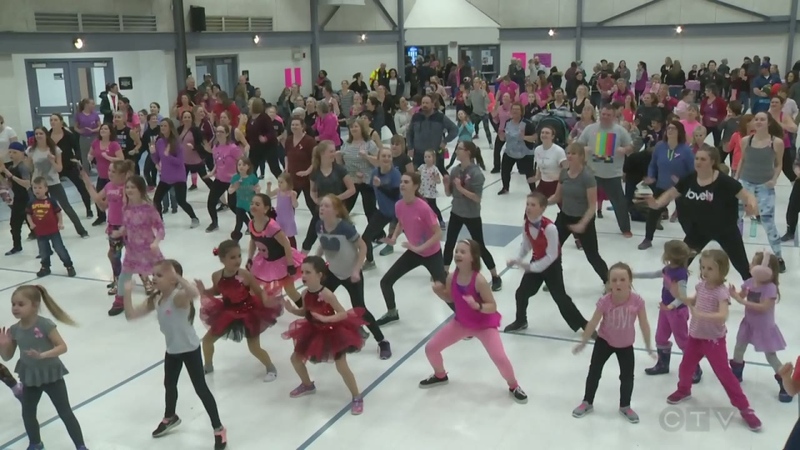 Hundreds of Elora community members came together at the Centre Wellington Sportsflex to raise funds for a family of nine. Jackie Gallegos, a mother of seven children, was diagnosed with stage four breast and bone cancer. The night of Zumba dancing, raffles, sweet treats, and a magic show on Saturday turned out bigger than they initially expected. Schleen says she’s already reached the initial goal of $2,500 online and believes they now sit at over $11,000 after the event. I just want to support her and let her know that she’s not alone in this fight for breast cancer and her family,” said Schleen.